Rijeka is a large city in the north of Croatia. The large civil cemetery is located at the top of a steep hill. The cemetery is very well signposted when entering the city from the Split – Rijeka motorway. The grave is found by entering the cemetery through the main gates and going straight on until the end of the path then turning right and continuing to the very end of this path. The grave is situated in the very last plot on the right; The grave is found in plot A section 3 grave number 40. The cemetery is open daily from sunrise to sunset. There is 1 Commonwealth burial of the First World War commemorated here. 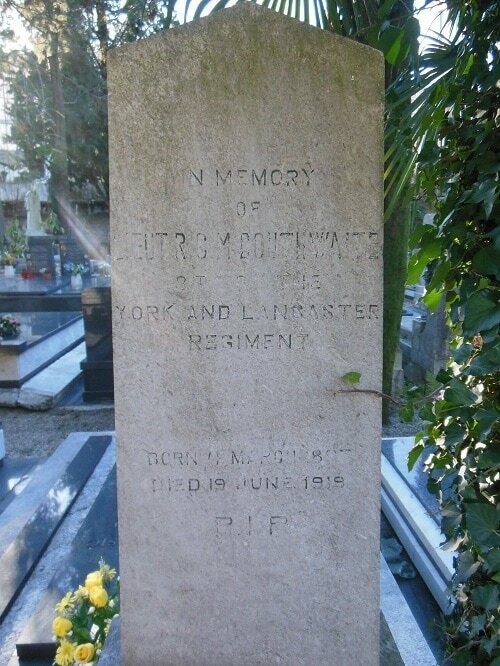 Lieutenant Robert Christopher Morris Douthwaite, York and Lancaster Regiment, died 19th June 1919. LAILEY, Officer's Steward 2nd Class, F. L/4930.